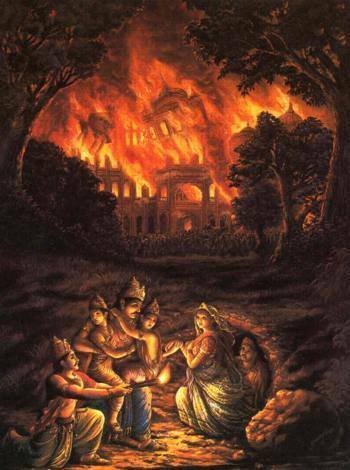 The stories of Mahabharata continues with this eighth episode – The Flaming house of Varanabata. With the advice from Shakuni, Duryodhana comes up with a devious plan to kill the Pandavas. Dhritarashtra sends the Pandavas to Varanabata to attend a festival. But the Pandavas escape the trap set for them and flee into the forest. There Bheema encounters the demons Hidimb and Hidimbaa. Listen to this exciting episode in the podcast below.